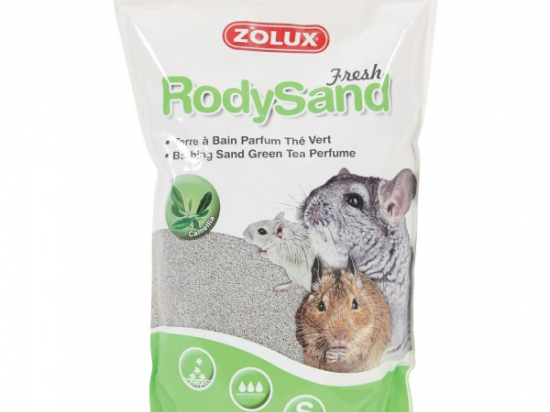 Scented dust bath for chinchillas, degus and gerbils. Essential for the well-being of your pet, and keeping its coat in good condition. Natural: Made of clay and enriched with sulphur to improve the hygiene of the undercoat. Top quality: 300% absorption rate. Very fine granularity. Highly absorbant: Eliminates dust and absorbs odors (excessive sebum in chinchillas), deep-cleans the undercoat to avoid skin diseases. Soft to the touch: Non-abrasive for a soft and shiny coat.